Valerie Lawson's work has been published in Main Street Rag, BigCityLit, About Place Journal, The Catch, Ibbetson Street, and others with work forthcoming on American Arts Quarterly's website. Lawson's first book, Dog Watch, from Ragged Sky Press, was released in 2007. Nominated for a Pushcart Prize three times, Lawson won awards for Best Narrative Poem and Spoken Word at the Cambridge Poetry Awards and was a finalist for the 2015 Rita Dove Award and the 2013 Outermost Poetry Prize. With her partner, Michael Brown, Lawson co-edits Off the Coast literary journal and teaches poetry at Cobscook Community Learning Center, and Senior College at the University of Maine in Machias, where she is currently studying Electronic Publishing and Book Arts. 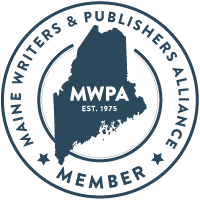 Lawson served on the board of the Maine Writers and Publishers Alliance from 2013-2015 and is a member of the Maine Adult Education Association. Lawson was also one of the founding organizers of the Iota Short Prose Conference held on Campobello Island, New Brunswick every summer. Valerie is listed at Find Maine Writers, Poets & Writers Directory of Writers online, the Boston Poetry Slam website, and Creative Ground, the New England Directory of creative professionals. 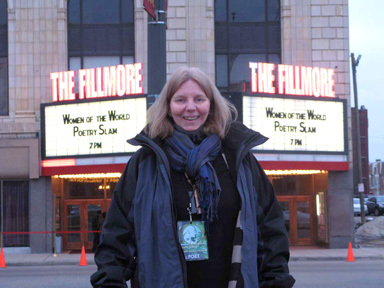 Valerie has worked as a bookseller, once worked as a security guard at a Rolls Royce show in Newport, Rhode Island; coordinated a literacy program, organized poetry readings and writing groups in Massachusetts and Maine, was a slammaster, once emceed the National Poetry Slam in Sweden, and participated in cultural exchanges with Ireland. Currently she is employed by Axiom Education & Training Center, where she is the Project Coordinator of STEM Guides Downeast. Valerie and Michael live in Robbinston, Maine, with a pair of Siberian Huskies on fourteen acres of trees with a view across Passamaquoddy Bay to New Brunswick, Canada. Their house is built from old barn beams and woodwork salvaged from a church and a house on the Underground Railroad. The neighbors are mostly four-footed or winged: Osprey, Raven, Bald Eagle, Loon, White-tailed Deer, Red Squirrel, Coyote, Porcupine, Moose, and a Mama Black Bear. Every window in the house has a desk or a table and there are books, pens, and paper on all of them. For over 15 years, Valerie has taught classes and workshops in writing and performance, often with her partner Michael Brown. Solo or together, they are dedicated and engaging teachers.